Scientists inside the 13 agencies that prepared the major report on climate change released quietly on Friday are said to be relieved that the Trump administration did not alter their work, but puzzled by the timing of publication. That’s according to soundings taken by colleagues outside government who spoke on Monday to Government Executive. As required under a 1990 statute, the multi-agency U.S. 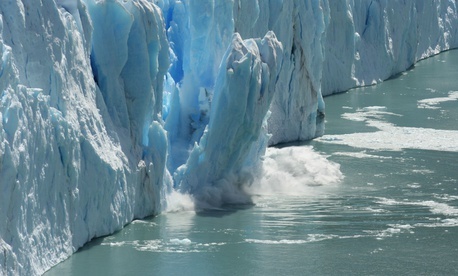 Global Change Research Program released its quadrennial 1,656-page report “The Fourth National Climate Assessment” with expected but dramatic conclusions. They run counter to the deregulatory policies pursed under President Trump at agencies such as the Environmental Protection Agency. The report released on the day after Thanksgiving was announced in a press release on the National Oceanic and Atmospheric Administration’s website, though not on the website of its parent agency, the Commerce Department. No mention was made on the website of the EPA, perhaps the agency whose policies are most affected by the controversies over climate change. This contrasts with the active commentary the EPA published on the issue under the Obama administration. Some in the science advocacy community said the release of the report on the Friday of a holiday weekend was puzzling. Many were expecting it later, perhaps Dec. 7, preceding the fall meeting of the American Geophysical Union, according to Rachel Licker, the senior climate scientist at the nonprofit Union of Concerned Scientists. The agency scientists she spoke to “were unclear on how and why the decision was made to shift the release date,” she told Government Executive. Observers also thought the Trump team would have waited for the probable Senate confirmation of Oklahoma meteorologist Kelvin Droegemeier to be White House science adviser. The earlier release also allowed the White House to express its skepticism before the Dec. 2-14 meeting of the United Nation’s climate change panel, the Conference of the Parties, in Katowice, Poland.